1. Former head of the FBI’s Buffalo office, Bernie Tolbert, has finally stopped teasing everyone and officially entered the race for Mayor of Buffalo, running as a Democrat. This means he’ll be primarying incumbent Byron Brown in September, and that he will be defeated. Buffalo Rising has the text of Tolbert’s announcement speech, and it focuses on education and crime, but is the same sort of talk we’re used to – technocracy and incremental improvement of bureaucratic issues. It’s a nice speech, but not one that adds a vision for a future Buffalo to the standard-issue schools-and-crime talk. The issues are so stark, one would think we could move beyond pablum and get into something a bit different. While Mayor Brown has had two terms already to do something big, he’s had little to do with anything big that’s happened. However, there is one thing he is better at than any of his competitors – building and maintenance of a formidable political machine. With the Erie County Democratic Committee likely to endorse Brown in an effort to promote intraparty peace, Tolbert’s chances are only slightly – and theoretically – above nil. 2. But one correspondent to Buffalo Rising has identified a novel way to shuttle people to and from the Outer Harbor. Despite high prevailing winds and six months’ worth of inclement weather, he has suggested a cable car system to transport people high above the Skyway corridor from CanalSide to the empty and polluted Outer Harbor. Instead of focusing on bringing to Buffalo a cablecar system that was so popular at Walt Disney World that it was removed 25 years ago, perhaps we could spend that money to clean up the contamination on the Outer Harbor property that precludes any sort of development from happening. People on Twitter had fun with the idea on Friday under the hashtag #BuffaloCableCar. It also reminded Chris & me of the “Detroit Entrepreneurial Guy” meme (example 1, example 2) – especially this one. Just substitute “Buffalo”. 3. About a week ago, the Buffalo News’ Mike Harrington dismissively refused to listen to a podcast that Trending Buffalo’s Brad Riter recorded with Artvoice’s Chris Smith, arguing that it wasn’t “real media”. He and I argued about what constitutes “real media” over the weekend, with Harrington insisting that Trending Buffalo isn’t “real media”, and I argued (a) that the internet is a real medium; and (b) Trending Buffalo’s legitimacy as real media is determined by people who consume its content. If it has relevance and popularity, it’s “real media”. Harrington insisted that blogs are a “wild west” (and I pointed out the wild west was a “real place”), which is an old argument. In the end, query why it is that the Buffalo News has its journalists blog and Tweet with Buffalo News branding if social media and blogging don’t constitute “real media”. Journalists can blog, and bloggers can be journalists. Whether an outlet is “real media” is, in the end, wholly up to the person consuming the content. I’ll storify up the back-and-forth later this week. Follow me on Twitter and send emails and other stuff to here. They set up a public commission to review how the Buffalo police department is run. The police department and city government are stonewalling the commission, refusing to release crime data – data which other cities routinely make available to the general public. Mascia said he spoke earlier in the week with Michael J. DeGeorge, who serves as a spokesman for both Police Commissioner Daniel Derenda and Mayor Byron W. Brown. Mascia assured Kearns that much of the information has already been compiled and will be released soon. But Mascia said DeGeorge added that the commissioner will refuse to release some information on the grounds that it is “sensitive.” Administration officials have confirmed several times in recent months that they intend to release some — but not all — data that has been requested. “I can’t imagine how anything we requested could be even remotely viewed as sensitive,” Mascia said. DeGeorge confirmed today that some of the data requested by the panel was available on Friday afternoon. What information is the department refusing to release? DeGeorge declined to get into specifics. The Council created the study group to perform the first outside review of police operations in two decades. The commission has asked for information about job vacancies, the number of officers who are out on work-related injuries, manpower deployments in each of the five police districts and other data. We try to be nice, and they attack us. When has Steve Casey’s renegade camp of Collins Democrats tried “to be nice”? Karla Thomas is just the most vocal. She’s just one of a number of people who have taken a bullet for the maliciously inept, political dysfuncitionocracy of Mayor Steve Casey and his willing, charming puppet, Byron Brown. 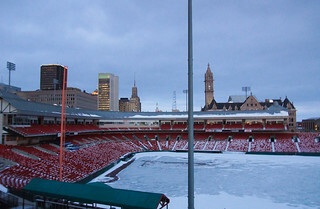 All of Buffalo’s many problems have a common denominator – politics. Karla Thomas? She was happy to be a well-connected Grassroots associate of Brown’s, content to take a cush patronage job for which she was arguably unqualified. She was happy to follow Brown’s and Casey’s orders, but up to a point. When she refused to play ball, she took a fall. It’s part of the quid pro quo. Pay to play? Racist question, she says. So, it shouldn’t be brought up now because all the white Mayors did it too? It makes it ok? Brown told us in 2005 that he’d be different. He was going to use CitiStat to set up a meritocracy and lurch Buffalo into modern times. 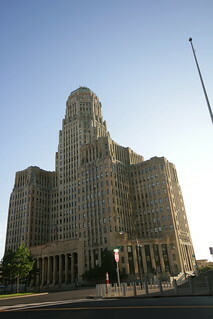 In reality, Buffalo’s government remains firmly mired in the 1940s, and CitiStat is merely a pretext – a basis for Casey and Brown to produce and disseminate televised show trials of the disfavored and disloyal. Thomas repeatedly insisted that her public disclosures are not meant to embarrass the administration or get even with the man who fired her. She said her decision to remain silent during the height of the controversy proved that she was trying to remain “loyal” to a man who was her friend for decades. Byron Brown and Steve Casey reign over a failed city, and a miniscule, shrinking political empire. They have brought little progress and made fewer friends. They have alienated the well-intentioned and insulted potential city benefactors. They have neither a vision nor a plan for the city – they lurch from political crisis to political embarrassment, and the concept of a “big picture” is unknown. As it stands now, only the Green Code represents a fundamental, positive change that the administration has brought about, but it doesn’t excuse or justify the almost Stalinist style of governance.